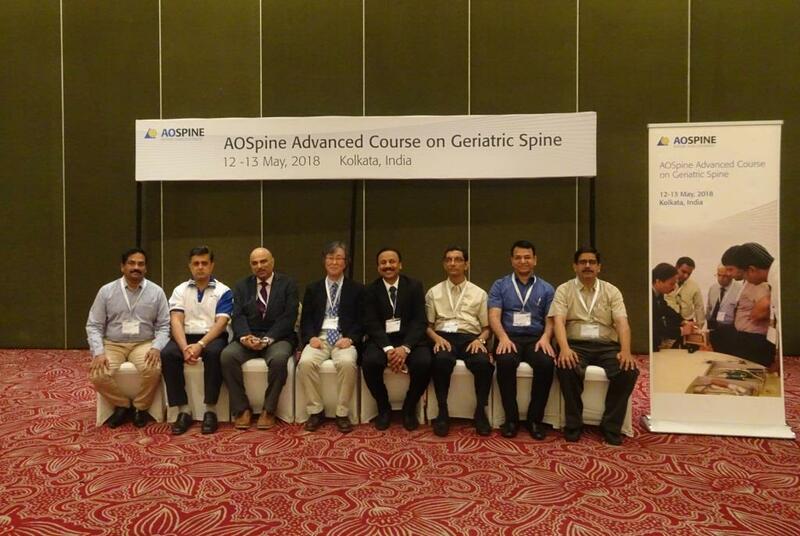 Dr Arun Bhanot is a leading expert in India for spine problems. Dr Bhanot’s valuable, honest and sincere opinions and surgical expertise, along with his personal and compassionate style of patient care, are much appreciated and sought after by all sorts of patients from within and outside the country. I am a surgeon by profession. I was finding it difficult to do my work due to severe back and leg pain. It was due to a slip disc in my spine. 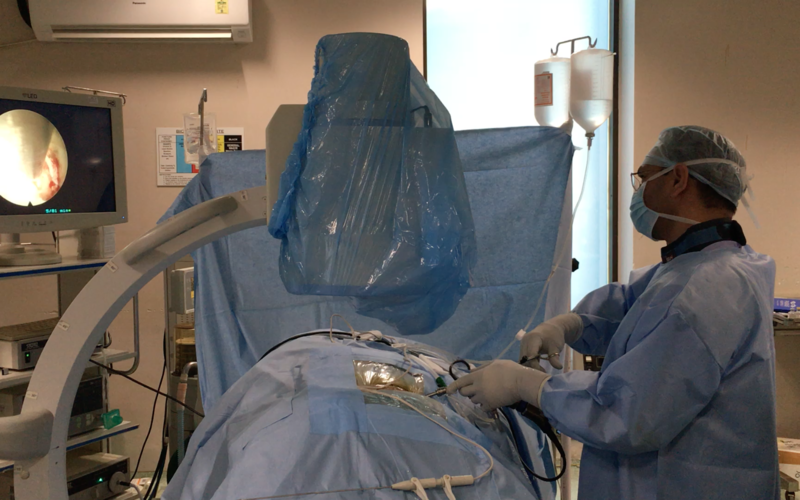 After endoscopic spine surgery by dr Bhanot, I recovered very quickly and was able to start doing my work within a couple of days. I was diagnosed with a spinal Tumor in my lower spine. My back and legs used to hurt and I was finding it difficult to walk. After Dr Arun Bhanot did my spine operation to remove the Tumor, I am fully recovered and live an absolutely Normal life. 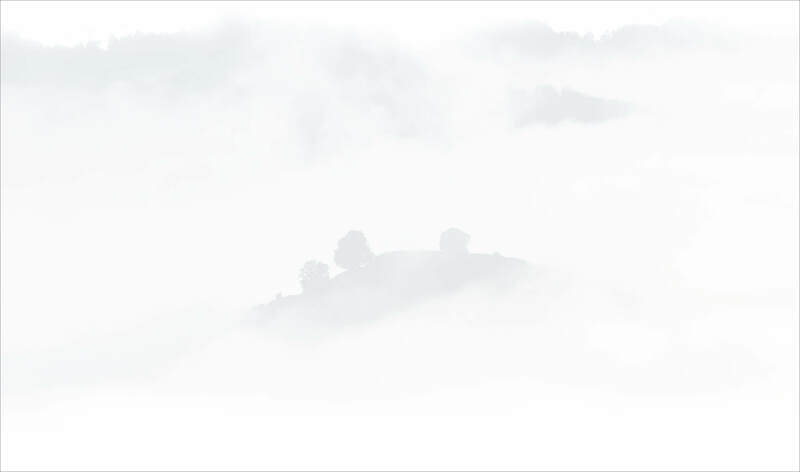 I was finding it difficult to stand and walk due to heaviness and pain in my legs. My spine surgery was done by Dr Arun Bhanot to remove pressure from nerves. Now I live a normal and healthy life without pain and do all my work by myself. I am 80 years old. I developed a back problem and slip disc. I had pain and numbness in my legs. Dr Bhanot did a spine operation for me and now I am perfectly alright. I am fully recovered and do all my activities. Dr Arun Bhanot, is a well respected name in India when it comes to treatment and understanding of the diseases of the spine. He is one of the pioneers of the Keyhole Endoscopic Spine Surgery in India. 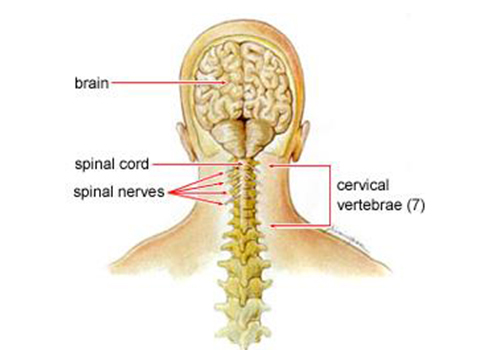 A fracture which creates an impact on the vertebrae of the spinal column is called spinal fracture. 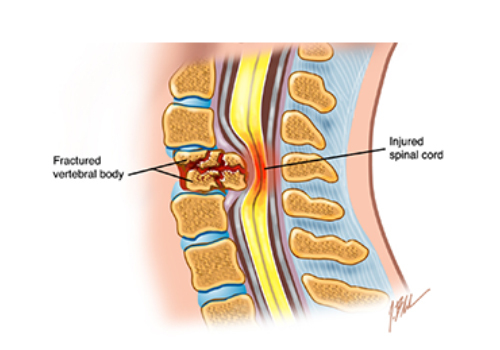 Spinal fracture is also called broken back or vertebral fracture. Screen Out- Spine Surgery Is Necessary Or Not? 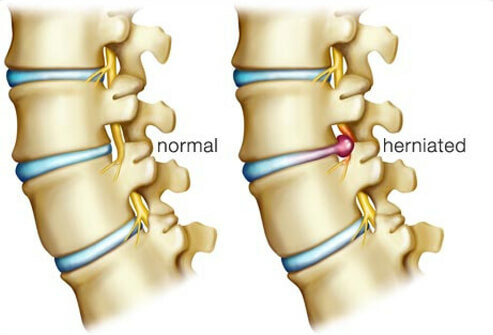 Best Hospital for Spine Treatment in Gurgaon? 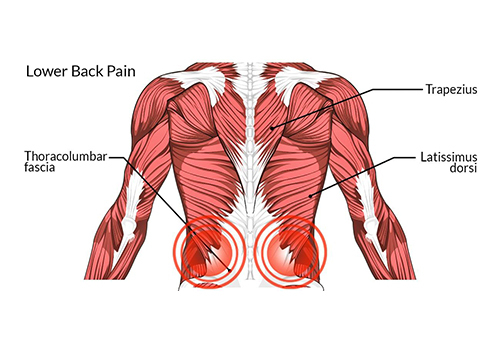 Back pain usually affects the lower part of our back. We don’t take it seriously especially when it just starts. We tend to believe it’s a minor fatigue related pain and discomfort, but it does refrain people from doing regular daily activities. 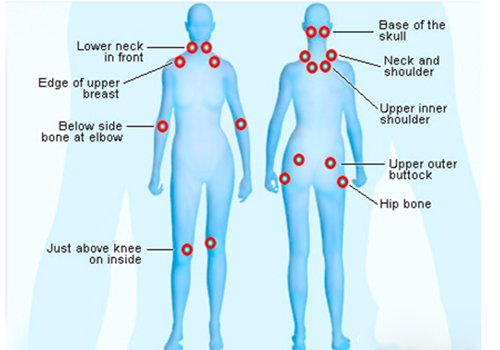 The pain can be mild/moderate or severe, piercing or burning in nature or a combination of all. Although it can occur at any age, adults usually experience back pain more often than others. 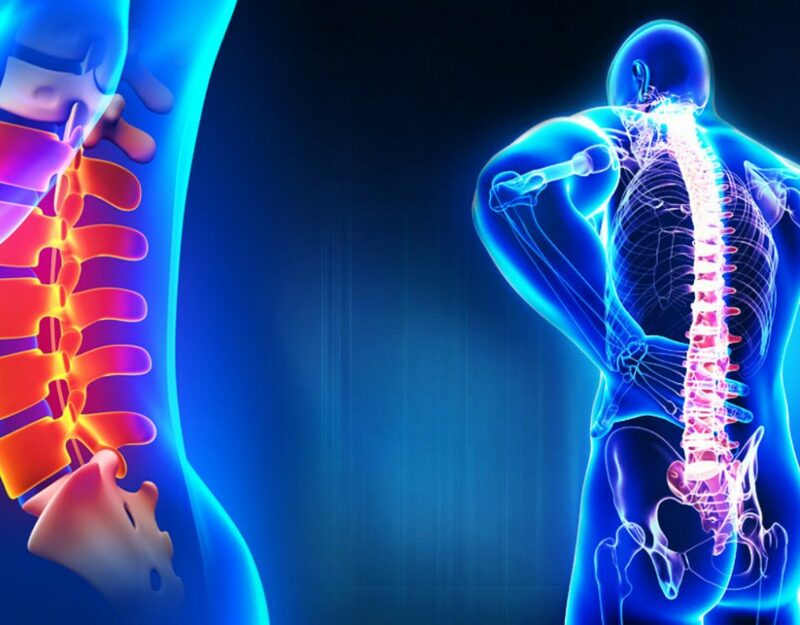 Best back pain specialist and back pain doctor would usually guide you that most back pains can be treated by medication, short periods of rest and rehabilitation exercises besides best physiotherapy advice for back pain. 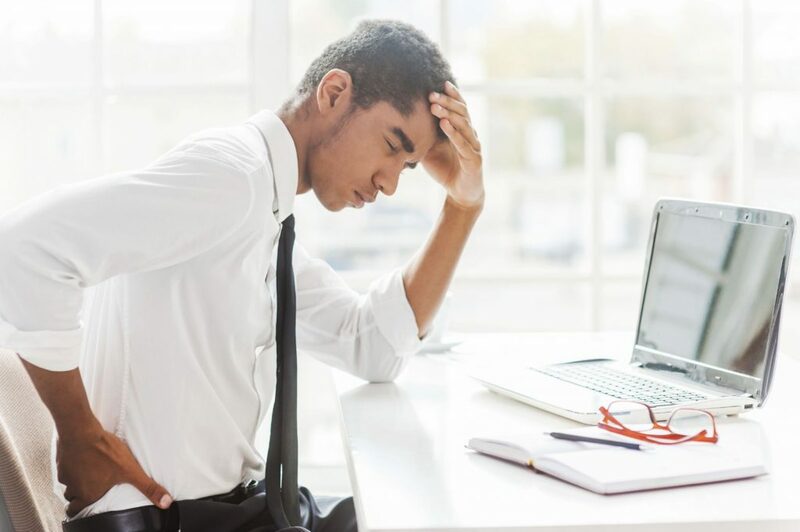 Medications like anti-inflammatory drugs, painkillers, muscle relaxants and nerve calming medications are usually prescribed to tide over acute episodes of back pain. Physiotherapy treatments like ultrasonic massage therapy, acupuncture, heat therapy, regular stretching sessions and spinal manipulation are also useful to recover from common back pains. Lifestyle modification and adopting good postures while performing day to day activities of life is another important factor that helps a long way to recover from back pain and stay healthy in the long run. This advice is given by the best physical therapy specialists for back pain. Back pain physiotherapy is also a good option for some cases of patients suffering from back pain. 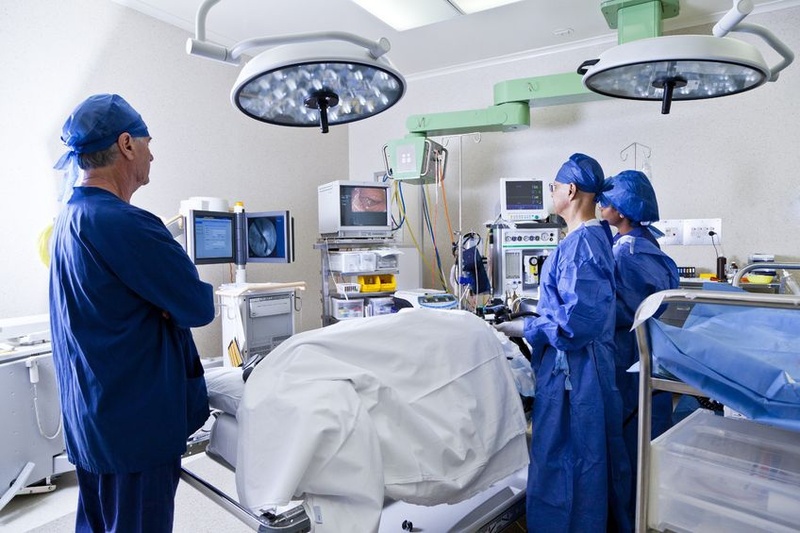 Surgery for back pain is done in a very small number of cases or patients who cannot stay away from their work for long. 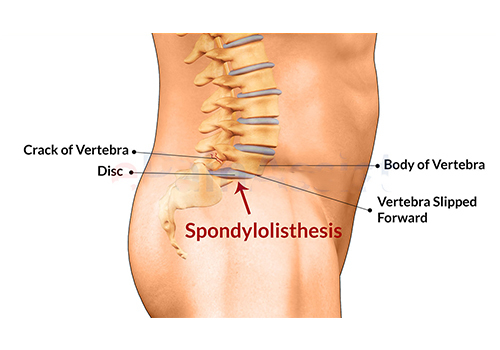 Several cases of back pain who do not respond to medical treatment and some of the patients who develop weakness or numbness in their legs may be benefitted with an early surgical treatment. Best spine surgeons usually chose minimally invasive spine surgery treatments for the modern day back pain patient. Keyhole Spine Surgery, Full Endoscopic Spine Surgery, Stitchless Spine Surgery with cuts as small as 8 mm that hardly leave any scar in the back can safely take care of back pain of patients who need surgical care. 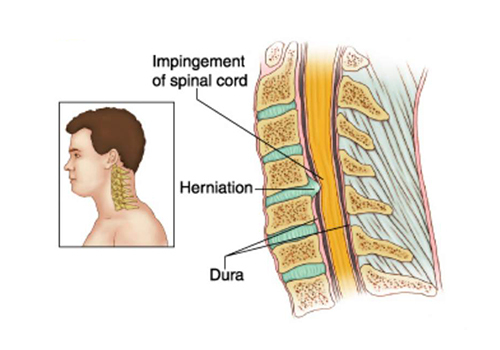 Endoscopic Discectomy is a technique where the spine surgeon removes the part of bulged disc to relieve the compressed spinal nerve. 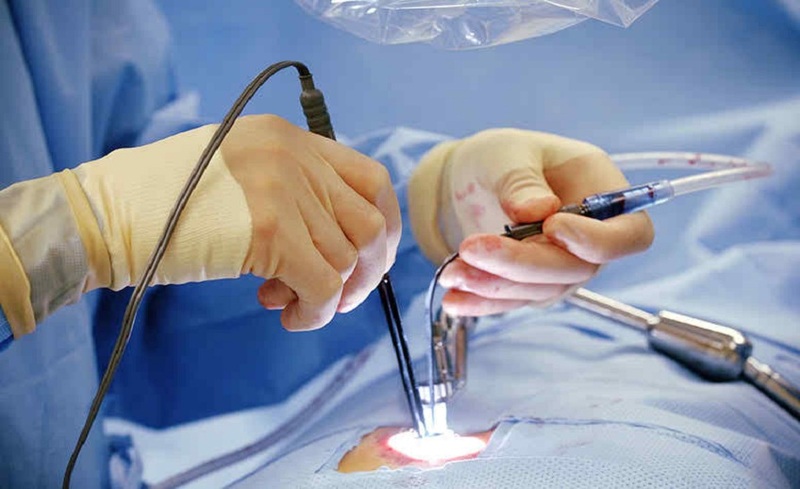 Microdiscectomy also achieves the same objective by using an operative microscope. 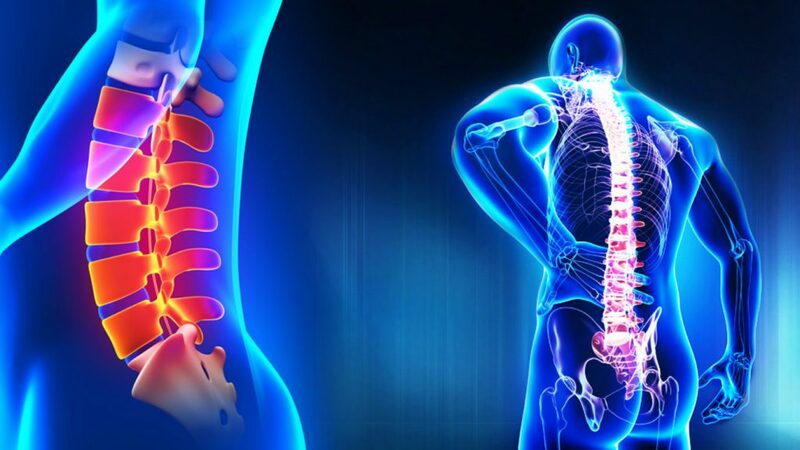 Some cases of back pain may need use of spinal implants and instrumentation like artificial disc, pedicle screws and cages to fix their spine problems. 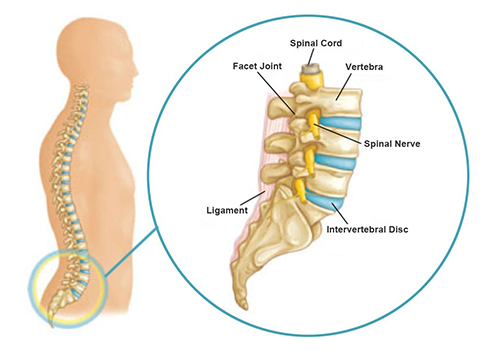 Most of these spine surgeries are very safe and hardly carry any risk of paralysis. Although it is generally believed that lifting heavy objects and clumsy movements can cause back pain by straining back muscles and ligaments, however the reality is opposite to this belief. Most common cause of back pain is a cumulative effect of wear and tear of structures in the back during our daily life activities. Repetitive movements of daily life cause minor wear and tear initially. But over a longer period of time, they cause long term and permanent damage to structures in the back. This damage could be in the form of degeneration of the disc or facet joints, disc herniation (slip disc), arthritis and spondylosis. 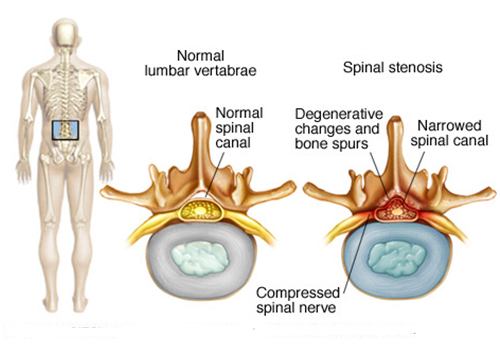 Later on, a bulging and ruptured disc can cause pressure on spinal nerves (sciatic nerve) leading to pain (sciatica). 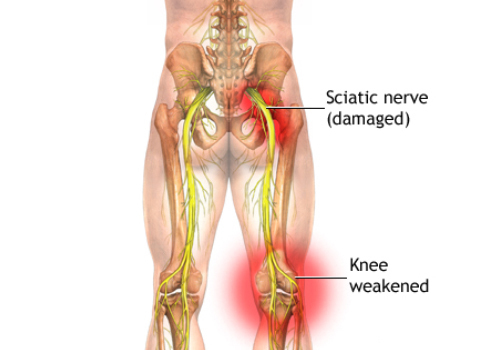 People with coexisting problems in knee joints, hips (arthritis)are also likely to develop pain in the region of back. 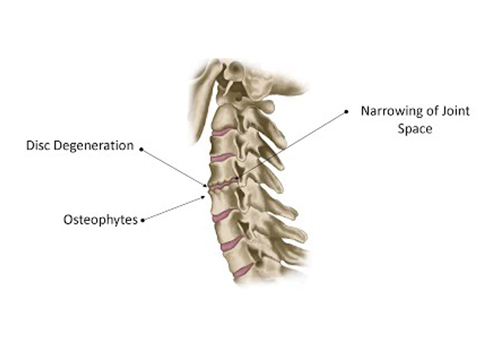 Osteoporosis (porous bones, weak bones) is another important causes of back pain as it reduces the weight bearing strength of the bones thereby predisposing to fractures and minor cracks in the bones that subsequently cause pain. 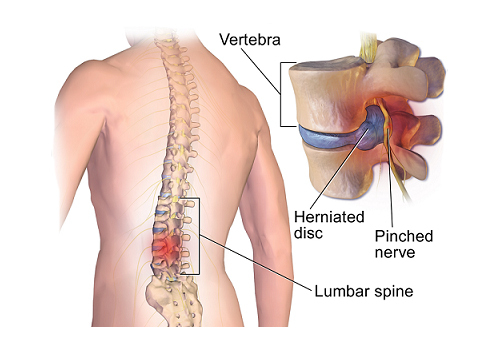 Tumors, infections and sleeping disorder are also some of the other reasons behind back pain. 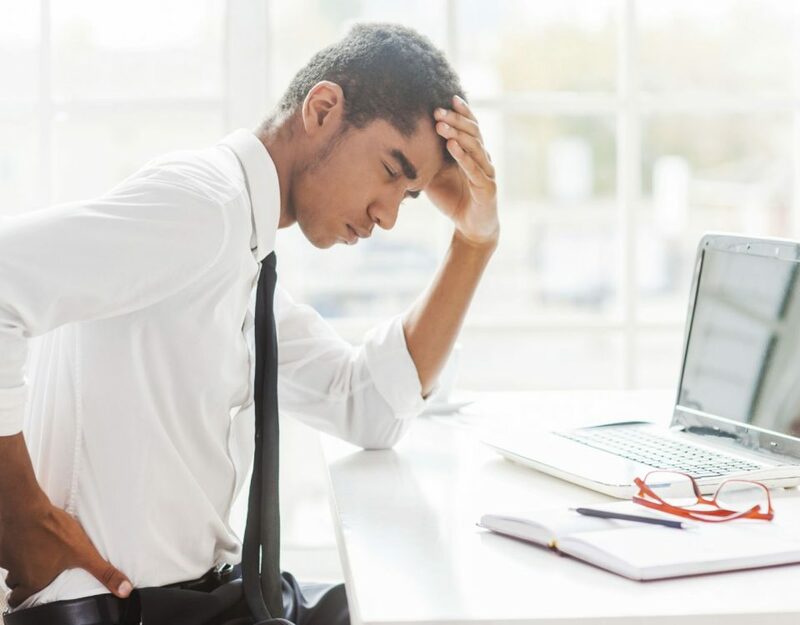 Bad posture and poor ergonomics in daily life is emerging by far to be the biggest cause of back pain in the present generation. Bad and inappropriate posture of body while lifting, doing household chores like picking things from lower shelves of cupboards or refrigerators, taking care of young children, overstretching etc. significantly lead to onset of back pain. Sedentary lifestyle, becoming couch potatoes and lack of sufficient exercise also contribute towards development of back pain. In fact bad posture in back pain only adds insult to the injury. © 2018 Arun Bhanot. All Rights Reserved.